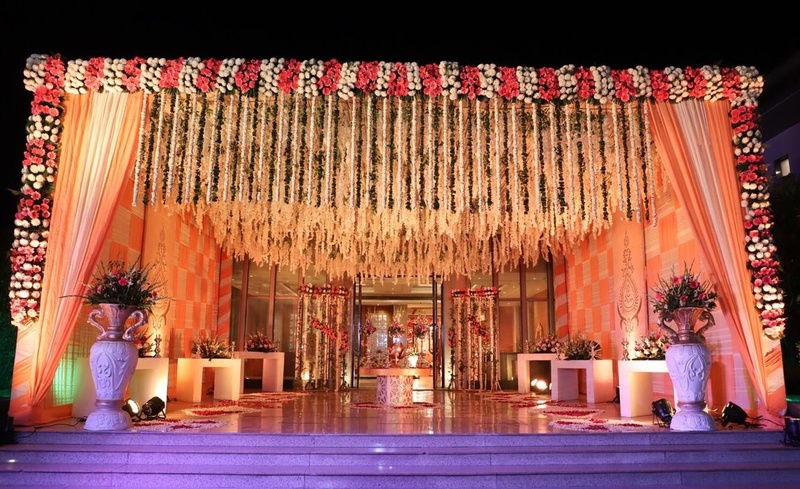 Calista Resort, Kapashera, Delhi has hosted many successful events like wedding ceremonies, engagement functions, reception nights and many more. It is located near the Kapashera Police Station and on the Old Delhi Gurgaon Road which makes it convenient for all to reach there. Calista Kapashera Delhi is well-known for the unmatched customer service and modern facilities. It has many party areas that help you plan various pre or post-wedding functions. Calista Resort in Delhi professional chefs will set up multiple buffet counters with delicious appetizers, tasty main courses and yummy desserts. It also gives you an opportunity to decorate the place the way you want as they have an in-house team especially meant for this job. Calista Resort New Delhi offers complimentary changing rooms for the bride and the groom on their big day for their convenience. It serves alcohol and also allows you to get alcohol from outside to please your guests. You need not worry about your invitees who come a long way to attend your pre-wedding and wedding functions as the venue offers a comfortable stay for the outstation guests. The lavish décor of this Calista Resort Wedding gives a special touch to your big day. With huge lawn and plush banquet interiors, Calista Resort is the perfect place for huge gatherings and events. They have a 24/7 multicuisine restaurant which serves you with mouth-watering delicacies. This 4-star property also has well maintained and comfortable rooms and a suite. 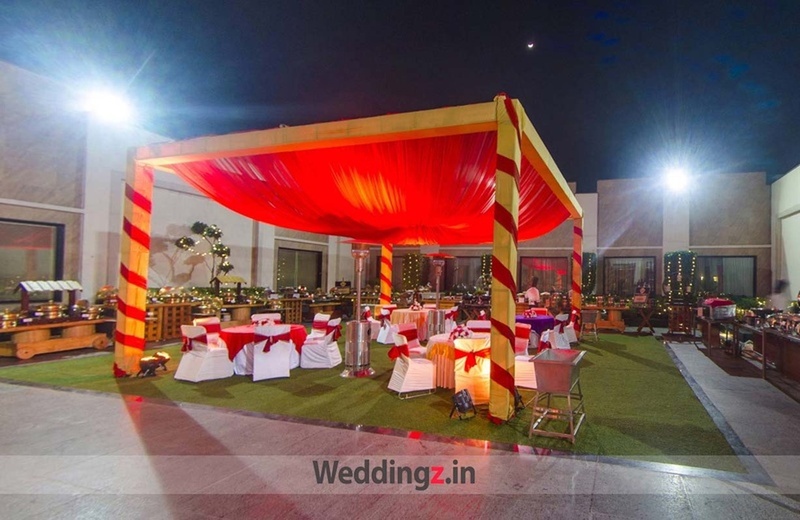 The Calista Resort located in Kapashera, Delhi has Banquet Halls and Wedding Lawns. Courtyard + Dining can accommodate upto 150 guests in seating and 200 guests in floating. 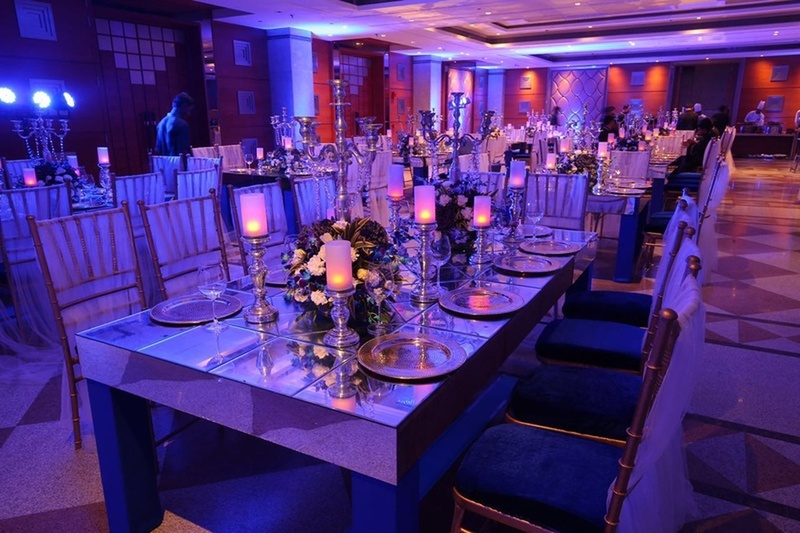 Banquet can accommodate upto 300 guests in seating and 500 guests in floating. Lawn can accommodate upto 800 guests in seating and 1500 guests in floating. Vegetarian and Non Vegetarian food is served at this venue. Features of this wedding venues are : Food provided by the venue , Outside food/caterer allowed at the venue , Non-Veg allowed at the venue , Alcohol allowed at the venue , Outside alcohol allowed at the venue , Halls are air Conditioned , Ample parking , Baarat allowed , Hawan allowed , Overnight wedding allowed , Decor provided by the venue , Packages starts at Rs 2100 per plate for vegetarian menu and at Rs 2300 for non veg menu. Decoration starts at Rs 75000.